Three times in my life I have looked into a marine animals eyes, and had a striking insight that that animal was looking back, with obvious intelligence and interest, and that we shared a similar consciousness. These moments do not feel at all like I am anthropomorphizing. And each time it has been a very memorable, life changing experience. 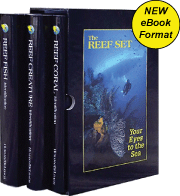 The first time was when I was very young at the Vancouver Aquarium in British Columbia. We had gone underground to watch the Beluga Whales underwater. I was standing next to the window when a Beluga came right up and looked me in the eye. That was it. My mouth dropped. Then, the Beluga started to play a game of hide and seek with me, using one of the wide partitions of cement between the tank windows. The Beluga would first hide until I found him, and then would reverse the game, as I would jump to the other side and hide from him. I will never forget it. Another experience was when I was sailing in the rain in the San Juan Islands in the Pacific Northwest. I was alone in the cockpit (my sailing partner was asleep inside), and I was just ghosting along in a light wind when a seal popped up right next to the boat and we stared at each other as the boat slowly slipped by, partners in consciousness. And the next experience was in Belize when Nicole and I came across a family of Caribbean Reef Squid for the first time, out on a remote cay. You can see four of them in the picture below. We found them in a shallow snorkeling area. 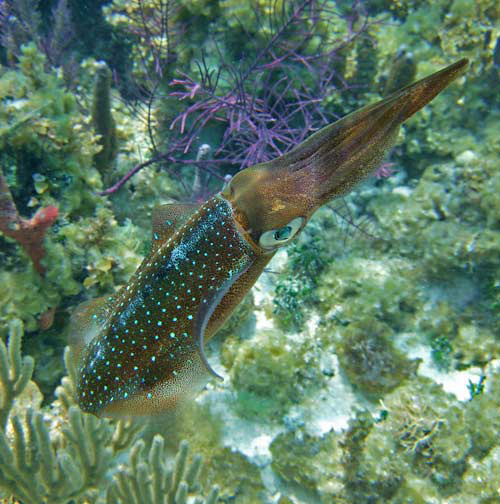 If you have not yet seen a Caribbean Reef Squid, they are inquisitive and not very afraid. Most striking to me was how family oriented they appeared to be, and how amazingly intelligent. They made me gasp with amazement as they would nearly instantly change their colors. They would also change the shape of how they held their tentacles, imitating each other and their surroundings. They also appeared to show great care for each other, and a sense of family was very clear. Watch in the video below how they change shape and color. We have since seen Caribbean Reef Squid in other locations, and similar squid in Hawaii. And each time I am thrilled. They are one of our favorites and are always very interesting to watch. And I can only assume they think that about us also. 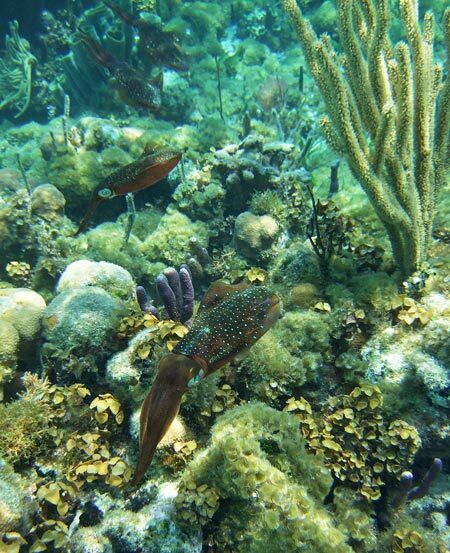 Learn a little more about Caribbean Reef Squid at Wikipedia here.